Hello! 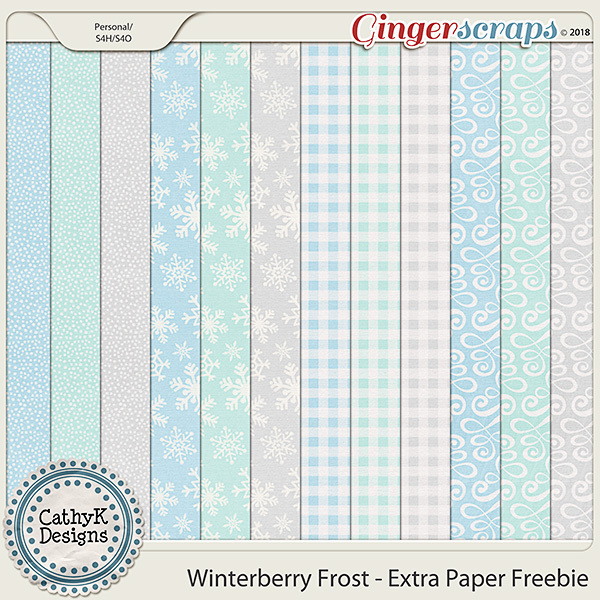 Although the official GingerScraps Buffet is over, I have an additional sale on my buffet collection, along with another freebie for you! 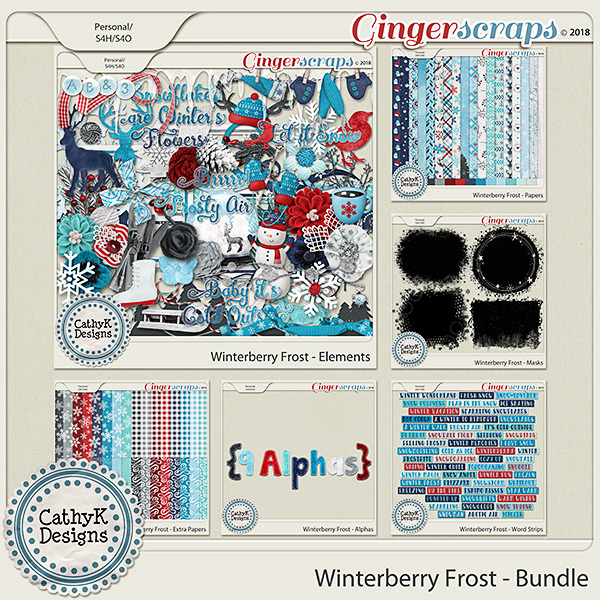 Winterberry Frost collection by CathyK Designs is now 40% off (Kit, Papers, Elements, Word Strips, Masks, Extra Papers and Alphas), and the bundle is still just $6 through January 9. 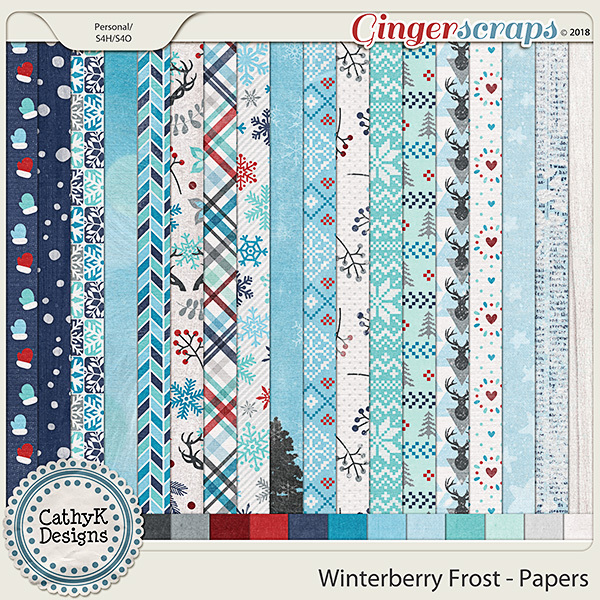 And just look at these gorgeous layouts! 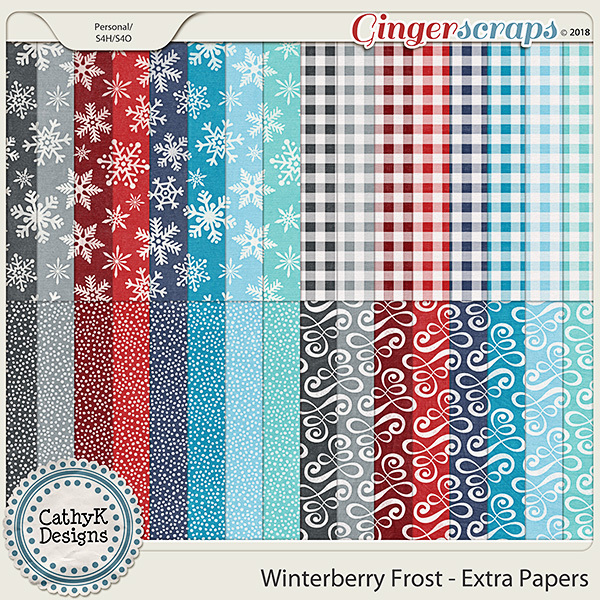 I have some extra Papers for you that coordinate with my Winterberry Frost Buffet Collection. 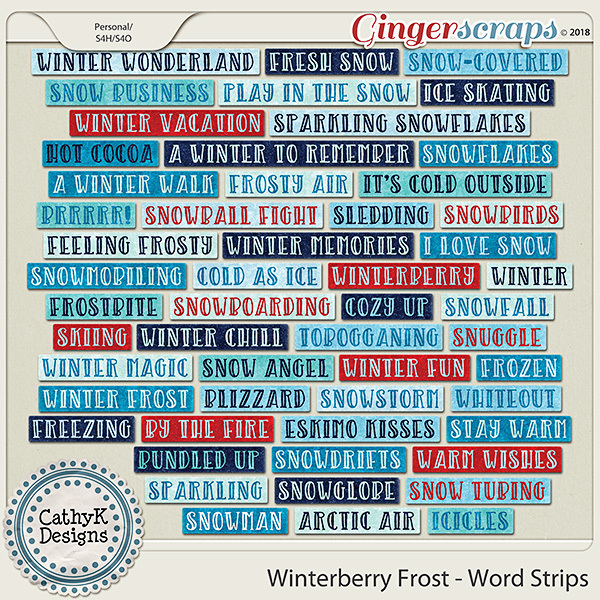 You can download them right here. 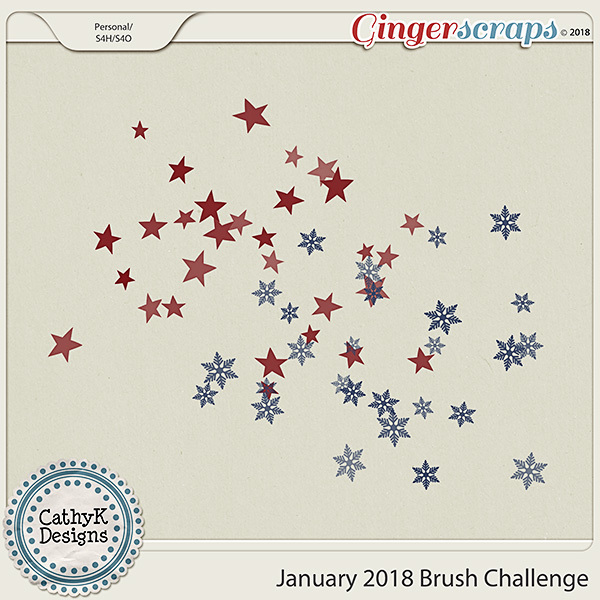 I am hosting the Brush Challenge at GingerScraps this month. 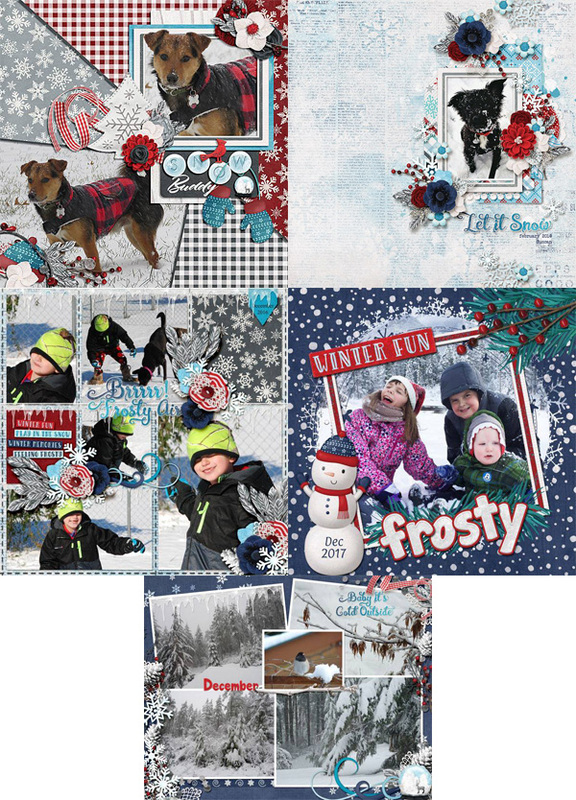 The brushes I created for the challenge coordinate with this collection. 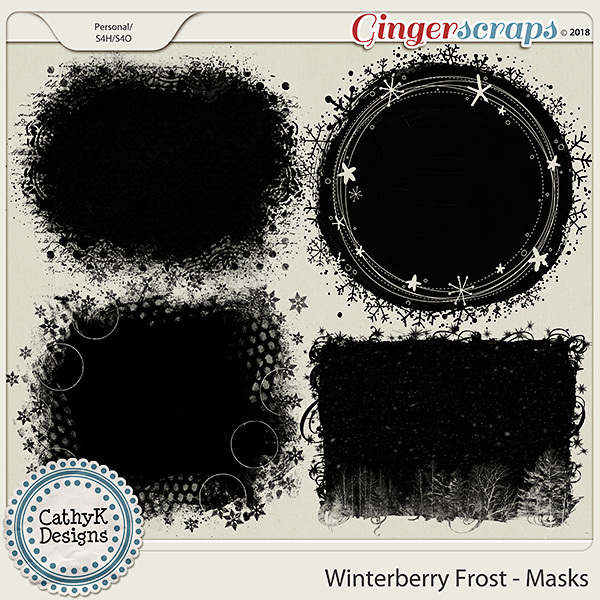 Head on over to the forum here to download your brushes. 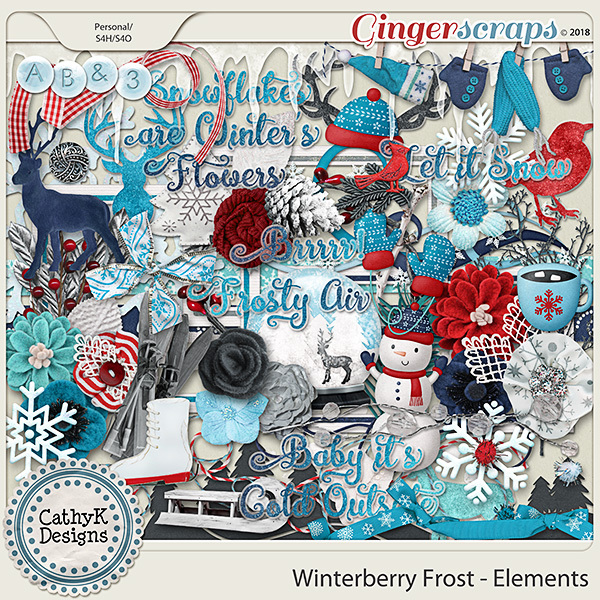 Hope to see your layout in the forum!